Tranquil. Convenient. Updated. 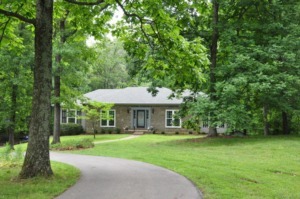 This four bedroom, three full bath home is sited on 5 acres just minutes from Long Run Park and nearby shopping. The 2016 updates include granite kitchen, new flooring in kitchen, dining room, living room and bedroom. New windows and master closet in 2015. New roof and gutters in 2014/13. The screened in porch off the kitchen is perfect for morning coffee, dining alfresco or just watching the wildlife. Two family rooms, a bedroom, and full bath completed the partially finished basement. Storage space abounds in the unfinished portion of the basement, in the 2 1/2 car garage and out building. You'll love the privacy this home offers with room to stretch out and enjoy the natural surroundings. Click to schedule your showing.